£2,000 worth of property has been stolen during a daytime burglary in Worcester. This happened between 9.50am and 1pm on Friday 21st June 2013. Thieves broke into the house by smashing the glass in the rear patio door before making an untidy search of the rooms. If you notice anything suspicious in your area please report it to the Police on 101 or if it is an emergency dial 999. As many people are often out at work during the daytime this is a perfect opportunity for thieves to strike. 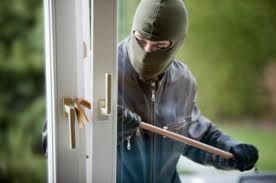 We urge people to ensure that you set your intruder alarms when you are not in your properties. We also recommend that you have your alarm monitored so if it is activated there is someone there to respond to the alarm. With the weather being warm please ensure all of your windows are closed when you are not in your property. An open window is an invitation to a thief. Please also ensure that your front door is locked if you are out in your garden. These tips will hopefully keep your property from being targeted by thieves. If you wish to discuss your security requirements please feel free to contact us at the office on 01386 841982 for an informal chat.